200.000 monthly visitors of traumflieger.de certify, that this webpage round DSLR-fototechnique is a new cult. 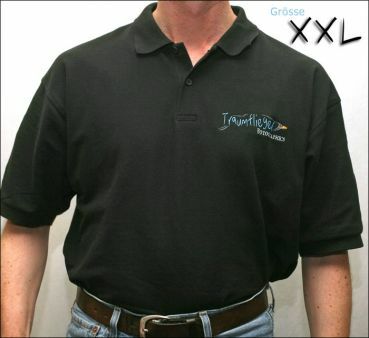 Share it with the black Polo-Shirt-Edition including the Traumflieger-Logo ! This Product was added to our catalogue on Thursday 23 November, 2006.